In its core businesses of private banking and asset management, Edmond de Rothschild (HK) offers a comprehensive and bespoke service, tailored to an international client base of wealthy families, entrepreneurs, and leading institutions. To deliver high-quality, time-sensitive, and confidential translations from English to Simplified Chinese for one of the world’s foremost names in asset management and private banking. 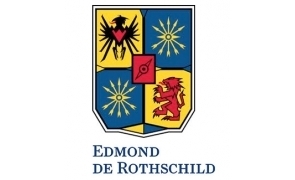 Edmond de Rothschild (HK) is a trusted institution whose clients include some of the world’s wealthiest and most prominent individuals and organisations. To keep delivering excellence and quality in its service to its clients, the company put its trust in MYL to deliver time-sensitive English to Simplified Chinese translation for its monthly and quarterly reports and other financial publications. MYL carefully selected a translator and editor based on their ability to understand the client’s specific requirements, and to learn and adapt Edmond de Rothschild (HK)’s writing style. Another consideration was the ability of the translator to process handwritten revisions in Chinese, as the client’s reviewer was not able to type Chinese characters, and wanted to submit handwritten revision notes instead. MYL assigned a translator and editor who were able deliver quickly while accommodating the client’s processes, without compromising quality and consistency of style. MYL has successfully worked on Edmond de Rothschild (HK)’s translation of monthly and quarterly financial reports that help their Chinese clients interpret their current financial views. Each publication was timely, accurate, and consistent, was handled professionally and confidentially, and was consistent with the company’s guidelines and style.